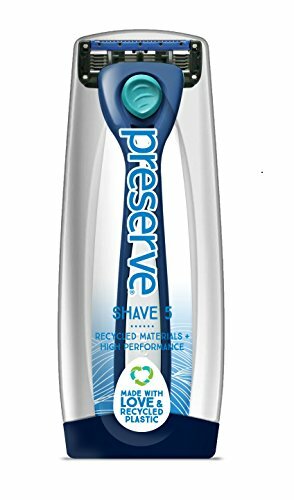 Preserve is proud to introduce “Shave 5,” a next generation razor that is beautifully designed to offer an extraordinary shave while being gentle on the environment. 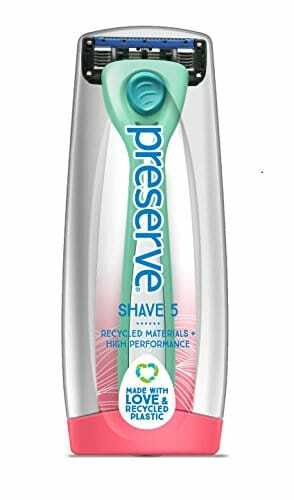 Preserve “Shave 5” Five Blade Razor features 5 ceramic coated blades in a cartridge that moves easily over both contours and angles, all at the end of an ergonomically designed recycled plastic handle. 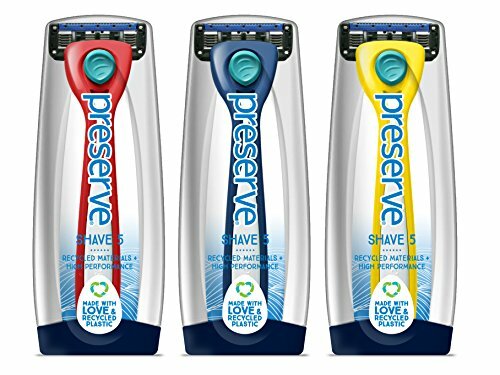 Preserve “Shave 5” is designed to offer an exceptional shave for both men and women. The comfortable handle will not only accommodate, but work well and feel good with the various grips used by shavers of all stripes. 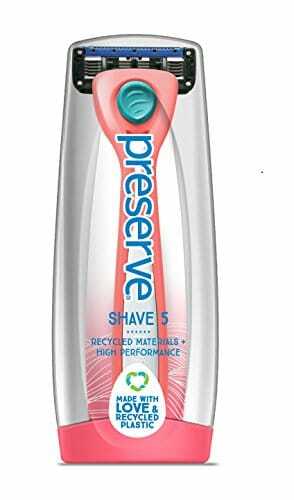 The handle is made from recycled materials, and is recyclable with Preserve’s Gimme 5 recycling program after use. The 5 blade cartridge features ceramic coated blades for improved comfort and a lubricating strip with cocoa butter and aloe. The blades and >90% of handle are made in USA; the blade cartridges are assembled in Mexico. Included in this set is one razor handle and one blade cartridge. 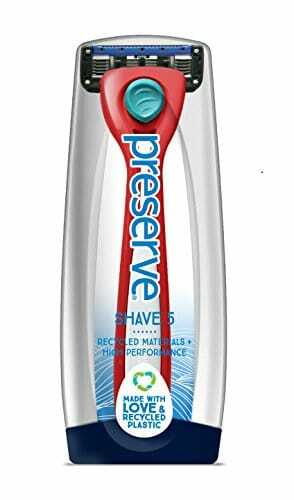 Preserve Shave 5 blade cartridge replacement blades are sold separately.